We left all our Christmas decorations at home in America (except for my cookie cutters and Love Actually, which are very important to one of our family Christmas traditions). So last year, for our first Korean Christmas, I (mom) rushed to a Christmas decoration expo and bought a bunch of mini-Christmas things for next-day delivery. So that purchase has come in handy again! 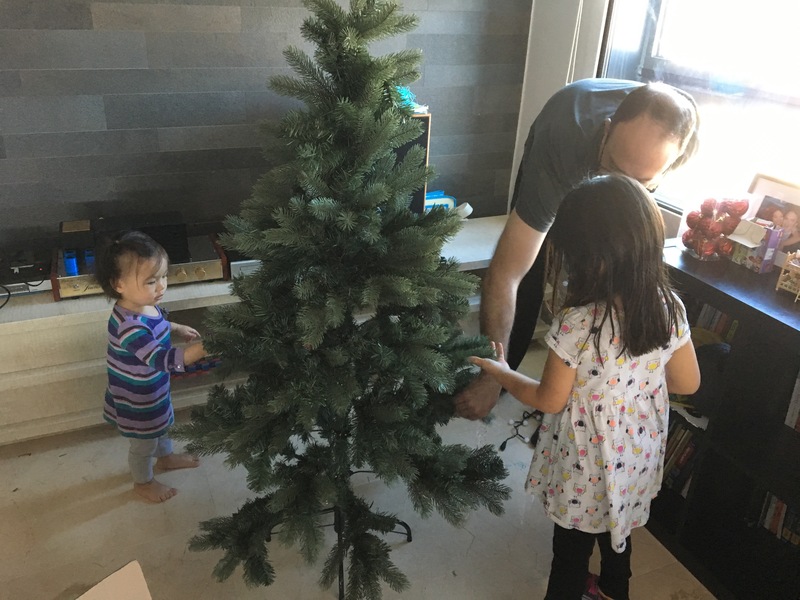 Isa was just a few months old last Christmas, so this the first time she’s actually hip to what’s going on and participating in decorating. 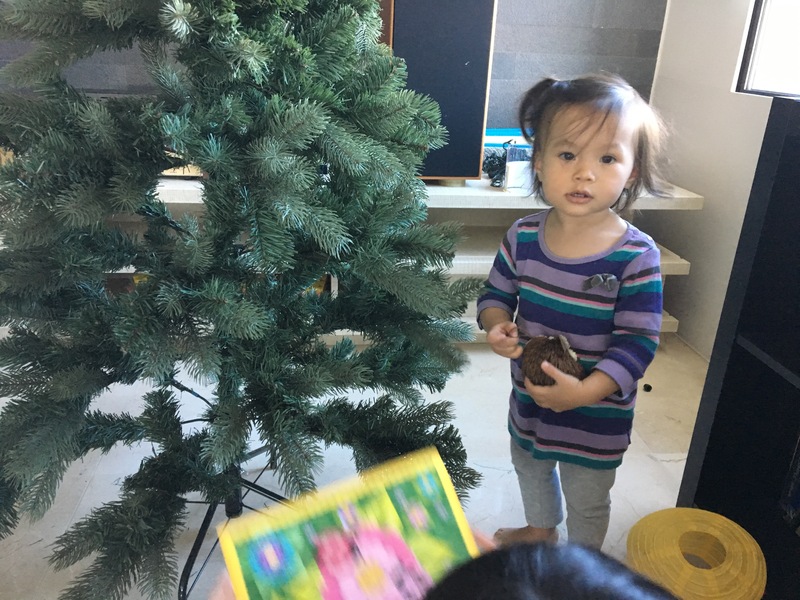 Her main interest was putting up the owl ornament. Her first move was to get tangled up in the lights.